Feature Images: (Left) image by Sasithon Photography via Style Me Pretty. (Right) image by Vue Photography. I can’t think of a better week to be sharing our Tropics in the City inspiration with you… With temperatures set to soar to 30 degrees it’s certainly going to be feeling HOT. And that’s exactly what this botanical City Chic shoot is all about. 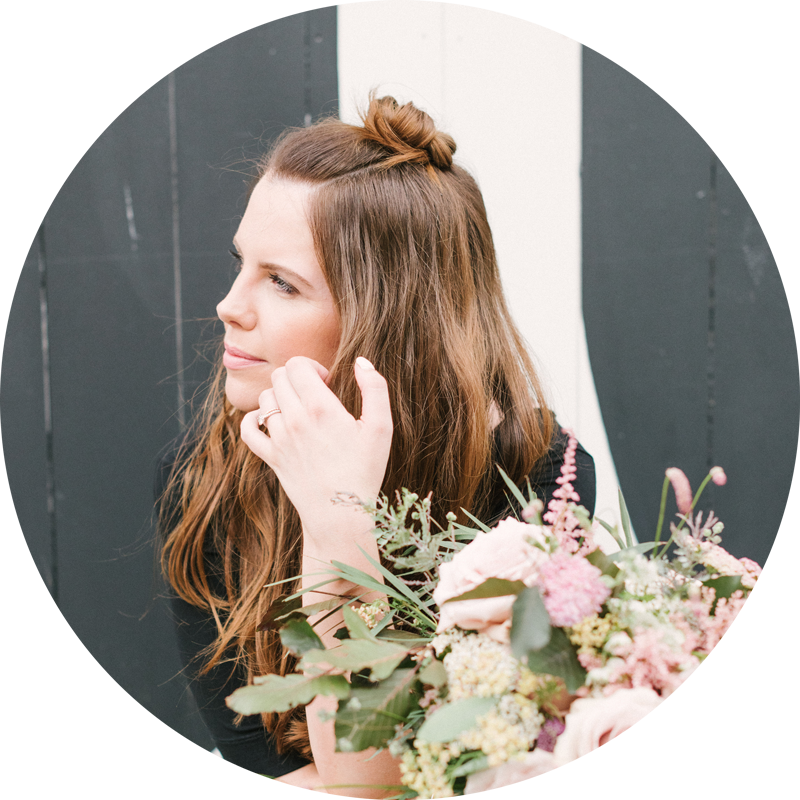 Alongside Katrina, resident Wedding Planner and my Coco & Kat sidekick, we worked with an incredibly talented team including Rebecca Goddard Photography, Hiding in the City flowers and Perfect Day Bride who came swathed in acres of Charlie Brear tulle. Before we share the full shoot and a new film by Insta Wedding with you, we thought we’d share a snippet of the mood boards we put together for each element. 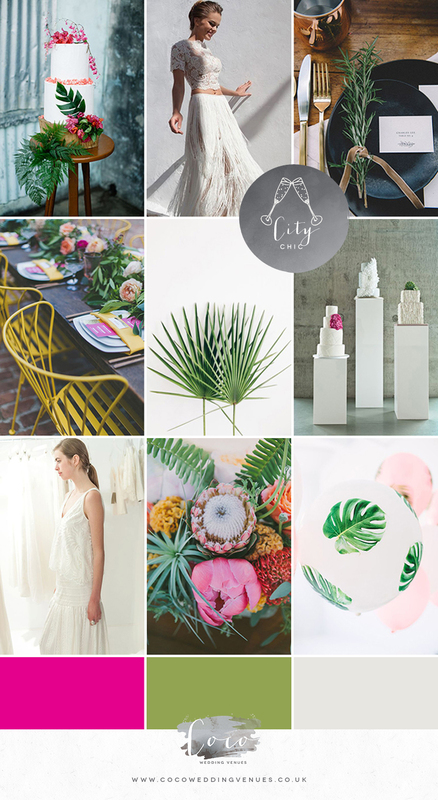 Much like your own wedding day, you want to document your thoughts and ideas to ensure your styling is consistent, dreamy and reflective of you… So here’s my inspiration behind Tropics in the City; a colourful, HOT, chic wedding. First Row (Left) image by Leezett Photography via Bula Bride. First Row (Middle) image via Morgan Davies Bridal. First Row (Right) image by Love in Photographs via 100 Layer Cake. Second Row (Left) image by Two Foxes Photography via Ruffled Blog. Second Row (Middle) image via The Finish Blog. Second Row (Right) image by Anushé Low via Wedding Chicks. Bottom Row (Left) image by Emma Pilkington via Love My Dress. (Bottom Row (Middle) image by Fondly Forever via 100 Layer Cake. 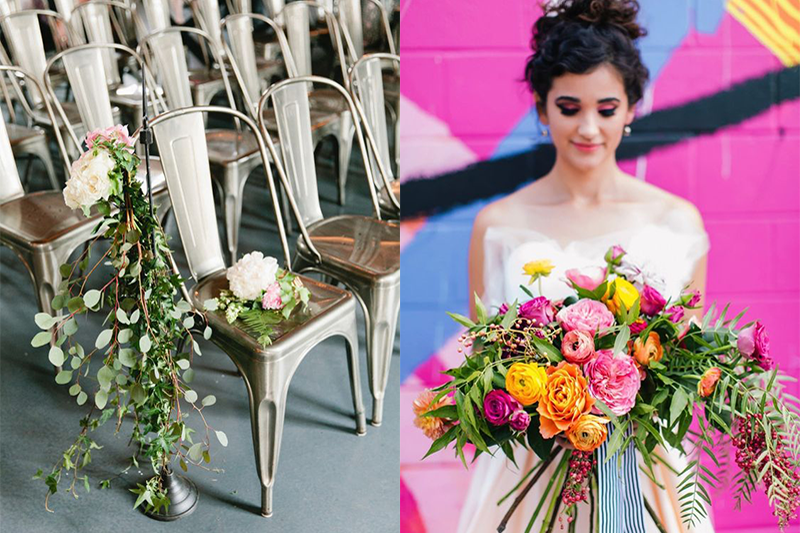 Bottom Row (Right) image by Mary Costa Photography via Studio DIY. Head back later this week for two more instalments from the Tropics in the City editorial… We’ve got the full shebang on Wednesday with a yummy makeup focus feature from Jo of The Hair & Makeup Atelier.